St. Charles, MO (February 15, 2019) – St. Louis Ambush midfielder Lucas Almeida and forward Justin Stinson have been named to the Sporturf MASL Team of the Week for Week Eleven of the 2018-19 season. It marks the first appearance for both players on the Team of the Week this season. 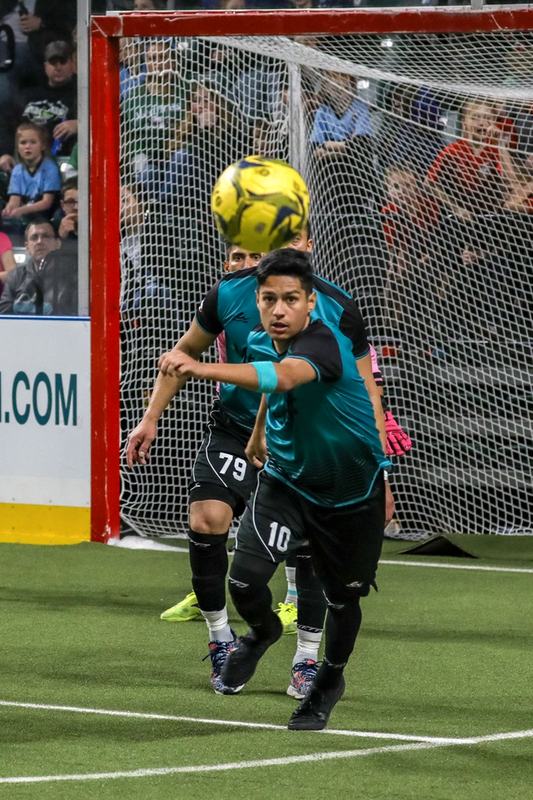 The Ambush were victorious in the one game they played during Week Eleven, defeating the Kansas City Comets 10-8 Saturday, February 9 at the Family Arena. Almeida tallied a goal and four assists in that win while Stinson posted a hat trick and an assist. 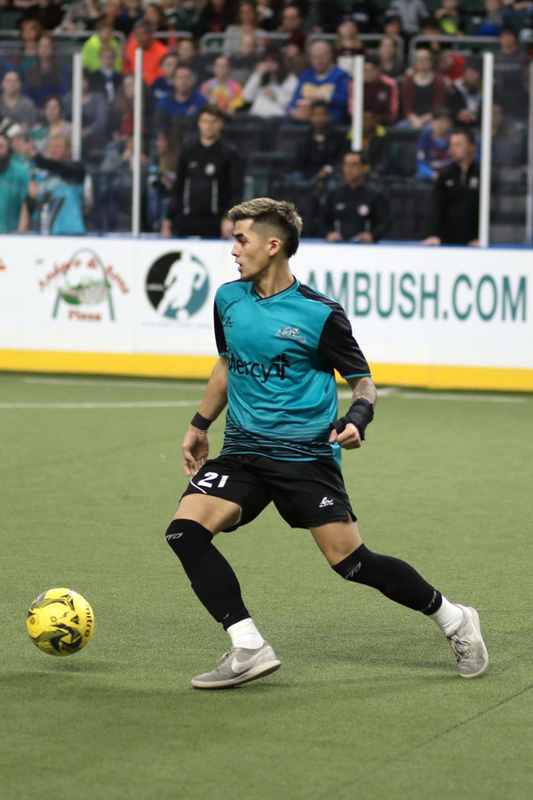 The 2018-19 season is Almeida’s fifth in professional indoor soccer and his fourth with the Ambush. He has appeared in 15 of the team’s 16 games, contributing six goals, and has emerged as the team’s leading playmaker with 12 assists. Stinson is a local product from St. Charles. He was signed by the Ambush last season, but appeared in only four games, enabling him to keep rookie status this year per league rules. He has appeared in all 16 Ambush games thus far this season, and currently leads the team in points with 22 (14 goals and eight assists). 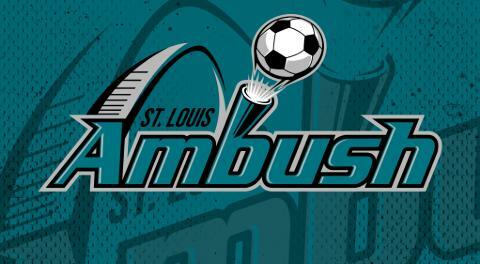 The Ambush are idle this week, but have two games slated for the next weekend, both at the Family Arena. The Orlando SeaWolves are back in town Friday, February 22 at 7:35 p.m. CT, then the Ambush host the Florida Tropics Sunday, February 24 at 3:05 p.m. For fans unable to catch any game in person, all MASL games are webcast live at masl.tv. Group and single game tickets are on sale for all Ambush home games. For more information, call the Ambush office at 636-477-6363. Keep up to date on all Ambush news by following the official website, stlambush.com and on Facebook and Twitter. St. Louis Ambush midfielder Lucas Almedia (top) and forward Justin Stinson (bottom) in action against the Kansas City Comets Saturday, February 9, 2019 at the Family Arena. Almeida tallied a goal and four assists and Stinson posted three goals and one assist to help their team defeat the Comets 10-8.